What is the best in British entertainment? Perhaps it’s a comedy classic like Blackadder, or the popular motoring show Top Gear. It might even be the long-running sci-fi adventure show Doctor Who, currently in its 50th year. Alternatively, the best entertainment might not be on TV; it could be on radio. Either way, both media are accessible with the BBC’s iPlayer service, a digital TV and radio streaming and catch-up platform first launched on December 25th 2007, which over the years has clocked up billions of viewings of shows as diverse as the 2012 Summer Olympics opening ceremony and classic comedy I’m Sorry I’ll Read That Again on BBC Radio 4 Extra. BBC iPlayer is a browser-based service that is also available as desktop, mobile and console apps. International viewers can also take advantage of the service, with some restrictions. With so many shows on offer and many options for playback and downloading shows (with DRM) if you’ve ever used the service it might be the case that you haven’t used BBC iPlayer to its full ability. The following steps are for the UK version of BBC iPlayer, which you can access within that territory or by using a proxy anonymizer service How to Watch BBC iPlayer With a VPN or UK Proxy How to Watch BBC iPlayer With a VPN or UK Proxy There are ways to circumvent geo-restrictions on streaming media. Here's how you can watch BBC iPlayer with a VPN or UK proxy. Read More . Although there is an international version of the app, only a handful of the tips here will apply. 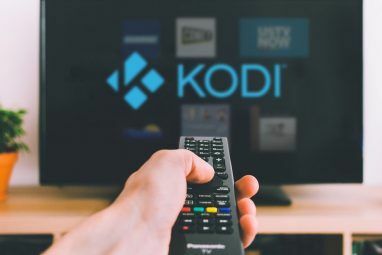 Once installed, the desktop app offers various advantages, such as better control of your favourites (see below), the ability to use scheduling tools to download (DRM protected and time-limited) shows and more time to catch up with programmes on TV and radio that you missed. How to Watch TV on the Web with BBC iPlayer How To Watch TV On The Web With BBC iPlayer [Mainly UK Only] How To Watch TV On The Web With BBC iPlayer [Mainly UK Only] The Internet is becoming an increasingly important source for content of all media. There are legal and not-so-legal ways of listening to music, watching television and movies, playing games, and obtaining software. All via a... Read More explains the use of the service in more detail. Finding the right way to enjoy shows on BBC iPlayer depends on what you expect and any limits on your Internet speed and bandwidth. For instance, a comedy show might not demand that you watch in HD; a sci-fi series like Doctor Who or one of Sir David Attenborough’s acclaimed nature films would meanwhile be greatly enhanced by HD. Standard definition: 190MB-640MB, depending on connection speed. Phones and tablets – 3G: 120MB. With this in mind, your best bet would be to download iPlayer shows, enabling you to save on bandwidth and gain the benefit of smoother playback. You can download a show on iPlayer using the Download options button on the show page. Here you will see downloads tailored For iPlayer Desktop, For Windows Media Player and For Portable Devices. Some mobile versions of iPlayer also allow downloading. If playback is an issue for you, downloading is the best option. However, if this isn’t possible or convenient, there are a couple of things you can do. BBC iPlayer should adjust the quality of the stream depending on the speed of your Internet connection. As an example, a slower connection will stream at 500Kbps, whereas faster streaming can take place up to 1.5Mbps. Should you find that iPlayer won’t stream, you should check your connection speed using the BBC’s diagnostic tool, available at www.bbc.co.uk/iplayer/diagnostics. Is there a Technical Fault? 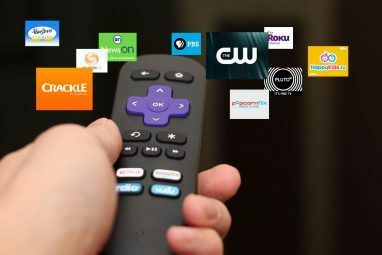 From time to time you may experience issues streaming TV and radio to your PC. This might be a local issue, caused by your own network hardware, a problem that can be traced to your ISP or regional network infrastructure, or it could be a problem at the iPlayer end. Note that messages concerning bandwidth on some consoles are usually attributed to too many people wanting to watch the same show at the same time. The only way around this is to wait until a quieter time. If you’re taking advantage of the BBC iPlayer desktop app, you will need to be aware of how to manage your library of downloaded shows. Although a certain amount of automatic management will take place – for instance, the app will automatically delete shows once the library gets too big – you can however see the contents through your file manager. In Windows, this is done by selecting Preferences and clearing the check box against Allow BBC iPlayer Desktop to manage where programmes are stored (recommended). Next, copy the link and paste into Windows Explorer, where the library will be displayed. You can now manually delete any files you don’t want to watch. If space is an issue, you can set a new destination for iPlayer downloads by clicking the Browse button next to Allow BBC iPlayer Desktop to manage where programmes are stored (recommended) after clearing the checkbox. You can then browse to a new location on your PC where your downloaded BBC iPlayer shows will be saved. One of the weaknesses of BBC iPlayer (and any streaming TV service) is that if you have a slow connection, or one that is limited at peak times, you might not get the best results. The best way around this is to schedule a download, using the BBC iPlayer desktop app. Click Preferences and look for Download Settings, where you should check the Schedule Series Record for download between option, specifying an off-peak time such as 00:00 – 06.59. BBC iPlayer has special features for people who create BBC iD accounts, either from scratch or by using existing Facebook or Google accounts. Preferences configured with a BBC iD can then be applied to any iPlayer instance that you are able to sign into on any device, and as such this is a great way to ensure that your favourite shows are listed on all devices. You can set any show as a favourite by looking for and clicking the Favourite star. To view favourites, click the Manage button where you will find all your preferred shows and their latest episodes listed. BBC Radio offers an amazing selection of channels, from pop music and arts to regional broadcasting and comedy. A lot of this can be downloaded to be listened to as podcasts, for you to enjoy at your own pace. Head to www.bbc.co.uk/iplayer/radio to find a radio show, and in the show notes you should see a Download the podcast or Free download option. In the resulting page, choose from the Tunes, My Yahoo, Zune, Google Reader or RSS Feed options to subscribe. If you’re interested in retaining control of what shows members of you family can watch from a computer, the BBC iPlayer offers a basic parental control option that can be activated from the website. Visit www.bbc.co.uk/guidance/ , check the box to confirm your age, enter a password (and perhaps a secure email address in case the password is forgotten; also a useful way to see if anyone has requested the password) and click OK.
With this setup, anyone wishing to view age-restricted TV or radio will need to enter the password. This is a much better way of dealing with age-restricted content than the default alert box, which can be easily closed and ignored. Take Your Shows With You! Xbox 360: available to all Xbox LIVE accounts, free or subscription. Nintendo Wii: can be downloaded from the Internet Channel, but in standard/low definition. PlayStation 3: a widget for BBC iPlayer has been available since 2008. 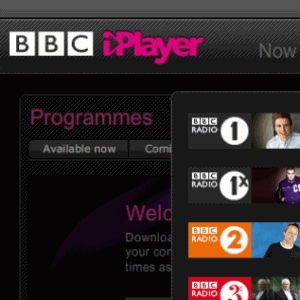 Android phones and tablets can enjoy a standard iPlayer TV app and a radio version too. iOS was the first mobile platform with iPlayer access, and has also been recently enhanced by a new BBC iPlayer Radio app. Windows Phone 8 users have a single video-based BBC iPlayer app. Streaming and downloading over WiFi, 3G and 4G is available with these apps, enabling you to enjoy last night’s TV on the train to work, at the match, in the pub, when shopping or wherever you have a spare moment. Like all of the best TV catch up services, BBC iPlayer can be configured into far more than it might appear to be at first. 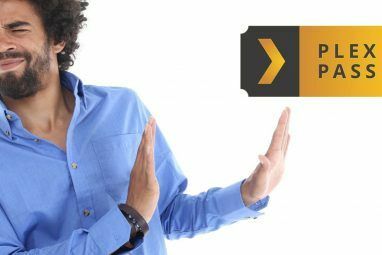 Sure you can load up the website, select a show and click play, perhaps moving that window to a second display while you carry on with something else, but the fact that the service is so flexible is something of a surprise. While DRM might be a disappointing downside and the lack of time to enjoy a full series after the final episode airs perhaps needs looking at, the iPlayer service is nevertheless an excellent one and by following these tips and tricks you can make it work for you. Explore more about: Internet Radio, Media Player, Television. I do like the BBC apps and Iplayer is one I use quite a lot. My only real grudge is with the podcasting. I listen to a lot of radio comedy (radio 4Xtra is a must) but there is a pathetic amount on there to listen to. I know they have issues with copyright and the like , but even home grown BBC made comedy just isn't there... or at least no available for a long time. They do sell shows online via itunes and stuff, but I don't see why, if they are going to have a website for downloading shows (old and new) they can't keep them up for longer ie months or a year for people to listen to again..